Ultrasonic cutting devices have been applied in the surgery field as an alternative to conventional methods. These devices, powered by piezoelectric transducer, allow for precision bone cutting, at ultrasonic frequencies, with little damage to soft and neurovascular tissues. The project consists of the design and manufacturing of an ultrasonic bone cutting device including the development of novel analytical and multiphysics methodologies for its optimization. 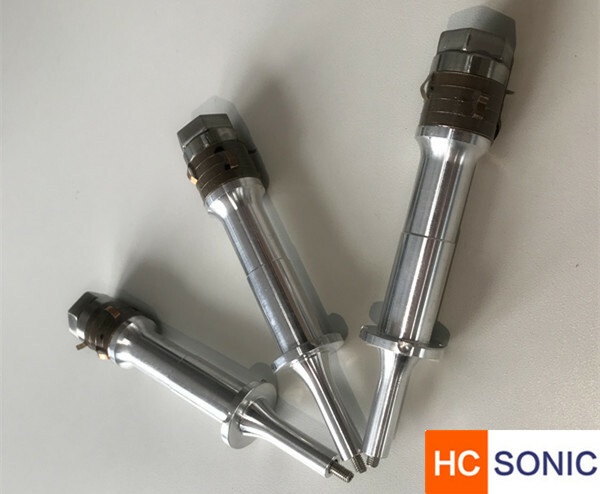 ULTRASONIC BONE CUTTING DEVICE have high requirements on ultrasonic transducer, the transducer have to be small, but powerful, light but in high amplitude. 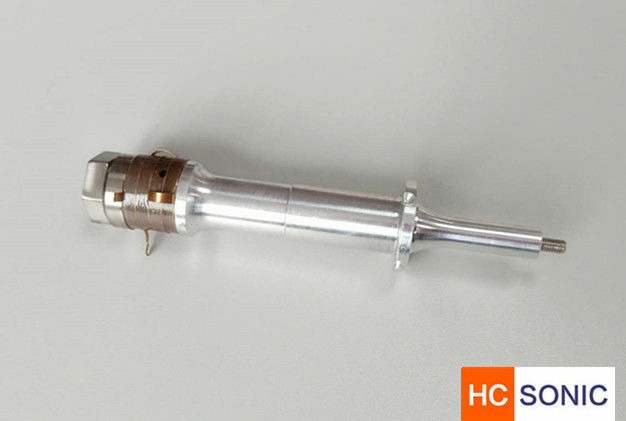 This 55Khz ultrasonic transducer was designed for ultrasonic bone cutting, with diameter 16mm only, very convenient for Scalpel application. D - The type of transducer D means Chinese type,B-Branson type,Z-NTK type. Transducer requirements will depend on the application. Many requirements will conflict with one another and will be given different priorities. Hence, no single set of guidelines can encompass all requirements — i.e., there are many different ways to achieve the same objectives. Analytically, transducer performance can only be predicted in a general way. This is because the properties of piezoelectric ceramics are often highly dependent on the operating conditions including temperature, electrical field strength, static compressive prestress, dynamic stress, number of load cycles, and time. These operating conditions can interact with each other and the effects of these conditions are often nonlinear. Also, many properties of piezoelectric ceramics are orthotropic and can vary among the individual ceramics and also between ceramic lots. Further, the interactions at the various component interfaces (e.g., at threads) may be difficult to characterize and the coefficient of convective heat transfer for air cooling may only be approximately estimated. Hence, much of the design process involves experimental testing. 15Khz transducer widely used in high power welding&sealing system.Piezoelectric transducer is the electric charge that accumulates in certain solid materials in response to applied mechanical stress. It is key point of all ultrasonic equipment.The transducer decide the property of the machine.We can supply transducer, also transducer with house and booster.